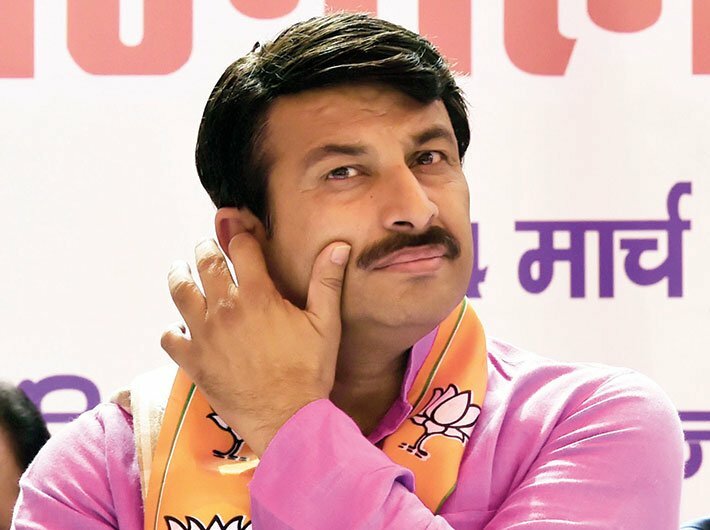 In a conversation with Deexa Khanduri, BJP Delhi president Manoj Tiwari talks about how he united the party in Delhi and why the BJP is set to increase its voter base in the capital. How do you rate your performance as a parliamentarian? I’m delighted with my performance. The Northeast Delhi parliamentary constituency was considered one of the most backward constituencies as political leaders indulged in selfish politics and interfered in the development work. Many projects were started but they were never completed because leaders only wanted credit in their name. During the 2014 Lok Sabha election door-to-door campaigning I came across this reality. I assured people I would work for their issues. In 2019, I’m satisfied with my work. Whatever we promised in the manifesto, we have delivered on 85 percent of it. Moreover, we have worked in a scenario where the state government was not supporting the state’s MPs. We even had to stage sit-in protests against the AAP government many times. Had the state government supported us, the score would have been a 100 percent. Can you list five works you have done in your constituency? First, the completion of the much-awaited Signature Bridge, connecting Wazirabad across the river Yamuna to the central city, reducing traffic time from 45 minutes to 10 minutes. Second, to decongest the traffic in northeast Delhi, our government is constructing 14.7 km elevated corridor passing through Khajuri Khas, Karawal Nagar and Shastri Park connecting to Akshardham – named National Highway 709B corridor. Khajuri Khas is one of the busiest intersections in Delhi with a traffic volume of 13,000 passenger car units. The corridor and underpass at the intersection will decongest Pushta Road, which has a peak hour traffic volume of 7,000-9,000 passenger car units. Third, in cooperation with the union human resource development (HRD) ministry, we have opened a Kendriya Vidyalaya in northeast Delhi. The construction of the building has started and it will be completed in next 10 months. The admission process has already begun for the current session. Fourth, in January 2019, we started work on the long-awaited Meet Nagar Saboli - Gokulpur railway halt station, located on the outskirts of East Delhi. It lies on the Delhi-Shahdara-Shamli-Saharanpur section of the Northern Railway. The station has been built from the member of parliament local area development (MPLAD) scheme funds. It will benefit 2-2.5 lakh people living in the area. Fifth, metro service from Mukundpur depot to Shiv Vihar-Majlis Park has benefited people of northeast Delhi. I’m proud of my tenure. In 2018, you broke the lock of a house sealed by the East Delhi municipal corporation. Even the supreme court criticised your action. Your comments? I did nothing against the court. I wish Aam Aadmi Party would have taken that step. I just stood with the people. The Congress and AAP have failed to take any stand when the sealing drive was taking place in Delhi [on the SC orders]. They just put posters across the city criticising the BJP. Why didn’t they come out on the streets? In 2012, when the Congress was at the helm in Delhi, Arvind Kejriwal restored snapped power supply at a Sangam Vihar resident’s house. He vehemently criticised the laws, rules and the government. Where was he when the sealing drive was taking place in Delhi in 2018? Tell us about your journey from a celebrity to a politician. I deleted the celebrity tag from my memory when I joined politics. I sit, talk and eat with everyone. I’m in the service of people now. I can’t throw a tantrum. A man from my constituency once told me that only those people will have a complaint against me who have not met me personally; those who have interacted with me will never resent me. His words were like a reward for me. What are the challenges you face as the Delhi BJP president? Earlier, there used to be a lot of communications gaps between senior leaders. Though I am young in age and experience, I tried to bridge those gaps as the Delhi president. I also kept reminding myself that I might be the president, but I’m not a senior person. As a result Delhi BJP stands united now and is in a much better position. Unlike earlier, now I have a cordial relationship with the general secretary and we both respect each other’s opinions and views. Lok Sabha elections may be about the national leaders but the state assembly election is a different ball game. And Delhi BJP failed that in 2015. After being elected as the Delhi president, I tried to solve many issues and took quick decisions. 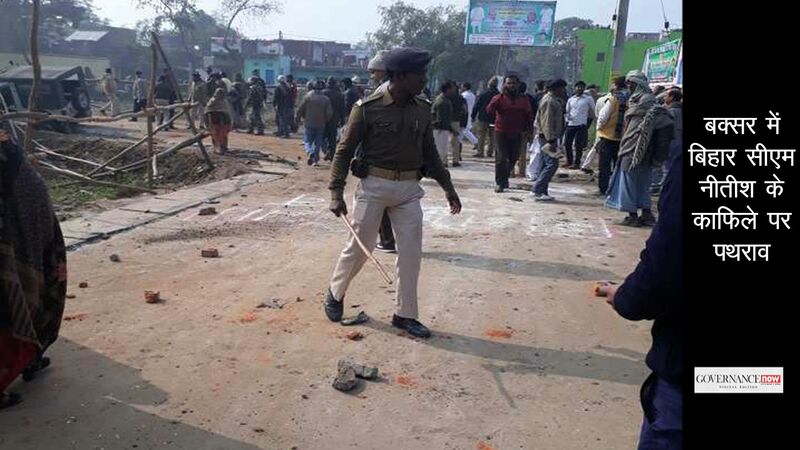 We stood with safai karamcharis when they were not getting their salaries. We stood with temporary Delhi Transport Corporation (DTC) employees who were demanding pay parity with regular employees. During the MCD election in 2017 erstwhile BJP counsellors were charged with corruption charges; we took no time to change all the sitting counsellors and introduced new faces. We even stood with 22,000 guest teachers whose contracts ended on February 28, while AAP played with the careers of these guest teachers as it failed to renew their contracts on time. AAP’s letter to the lieutenant governor further delayed the matter. Meanwhile, the high court intervened. BJP stands with the guest teachers but our powers are limited as the matter is now sub-judice. We’re honestly trying to tell to the citizens of Delhi that the city doesn’t need full statehood status to get work done, except in case of some transfers and postings. We have delivered on all our promises and are very hopeful for the next Delhi assembly election. AAP alleges that it does not get support from the BJP (be it in MCD or union government). Your comments? The Kejriwal government only knows how to create a ruckus. The government doesn’t know the difference between a cabinet note and a letter. Neither the lieutenant governor nor the union ministry tried to stop AAP. But there are certain rules which need to be followed. 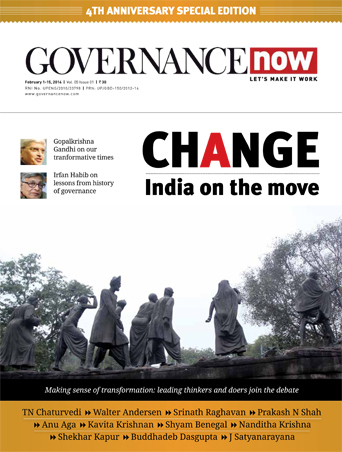 Governments work as per the law; they [AAP] never followed it. Our government never stopped any work in Delhi. We inaugurated National Highway 24 and the Eastern Peripheral. The union government even started the work of Metro Phase 4 and Dwarka Expressway. We never thought that we will not let the AAP government function. It was Arvind Kejriwal who didn’t release Rs 6,000 crore to the MCD. They betrayed people of Delhi by not implementing Ayushman Bharat and reservation for the economically weaker sections. Deputy chief minister Manish Sisodia invited me for the inauguration of the Signature Bridge. But I was manhandled by AAP workers at the event. I have never inaugurated any project or scheme in my constituency without inviting the MLA of that area. If AAP and Congress form an alliance for the upcoming Lok Sabha elections, numbers suggest that it would be a considerable challenge to the BJP. The analysis is usually done on the basis of the last election held in the state. The last election held in Delhi was in 2017 – MCD elections – and not 2014 Lok Sabha elections. In 2017, BJP won 180 seats out of 272 seats in Delhi. The number clearly shows that we should not be scared of them. In 2014, people were in favour of the newly born Aam Aadmi Party – even a few people from our party favoured them. But the balloon has busted now. The alliance will be the end of the Congress party in Delhi, and our vote bank will increase. Let the alliance take place and people will come to know who’s Team B [of AAP]. Will you be fighting Northeast Delhi seat again? In our party, senior leaders decide who’ll fight from which seat, and I don’t know about it yet. But, if given a choice, I would love to fight elections from Northeast Delhi only. Any regrets in the past five years? I gave myself only 85 percent marks and not 100 percent. Had the state government been functioning better I would have able to score 100 percent marks. I wish to give job guarantees to contractual workers in Delhi, and in the next four years we will definitely do it.